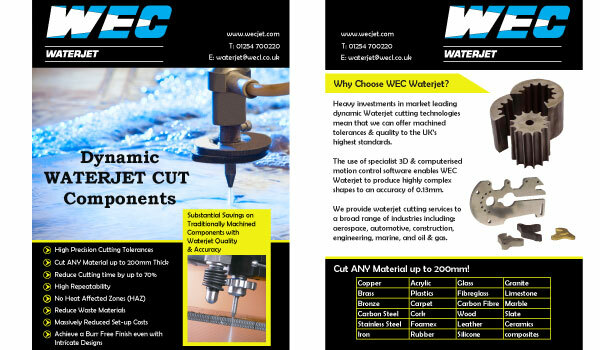 Heavy investments in market leading dynamic Waterjet cutting technologies mean that we can offer machined tolerances & quality to the UK's highest standards. 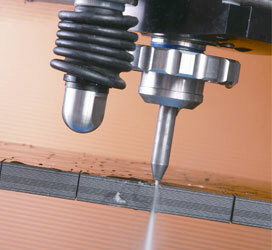 The use of specialist 3D & computerised motion control software enables WEC Waterjet to produce highly complex shapes to an accuracy of 0.13mm. Cut ANY Material up to 200mm Thick!! Copper, Brass, Bronze, Aluminium, Carbon Steel, Stainless Steel, Iron, Acrylics, Plastics, Carpet, Cork, Foamex, Rubber, Glass, Fibreglass, Carbon Fibre, Wood, Leather, Silicone, Granite, Limestone, Marble, Slate, Ceramics & Composites!! !